What is cumin but a spice rich in phytosterols and flavour? What is cumin but a spice rich in phytosterols and a pungent, slightly bitter flavour. When roasting the seeds they give off a strong, warm aroma that reminds me of incense; I find the sweet, spicy smoke quite intoxicating. Many things are uncovered by accident, in science as in cooking. Rontgen made his great discovery of xray, for example, not because he was looking for it but by being observant. He was just messing around and having fun; no one had even given a thought to this unknown radiation. Less significant, I discovered that freshly ground spices are far superior to that which you'll get in the grocery store. For five years I've been making our authentic hummus recipe with the powdered stuff. Then a month ago, luckily, the supermarket ran out. The better option, the Indian teller confided was to grind our own; so, a packet of the seeds. This is what jeera looks like. I've never tried growing cumin, but it reportedly thrives in a hot climate, and needs a long growing season of three to four months; we'll give it a try. It's been widely used over the ages in herbal medicine; cumin has been found in the tombs of the ancient pharaohs many thousands of years ago, and is widely grown in the Mediterranean area, India and China. It's used in highly spiced foods because of it's powerful, sharp flavour; use it in moderation. It's particularly useful in foods that have little flavour of their own, but are highly nutritious and desirable; like legumes. I use it mostly in making hummus. Cumin spice is a Middle Eastern and Indian condiment, known locally as jeera; it's used extensively in curries and vegetable dishes like hummus. It's actually first cousin to another favourite, parsley. Google cumin spice if you're interested in its ancient use by the Egyptians, Syrians, Iranians... it goes back to at least several centuries BC. So, now you can answer at least in part the question what is cumin? 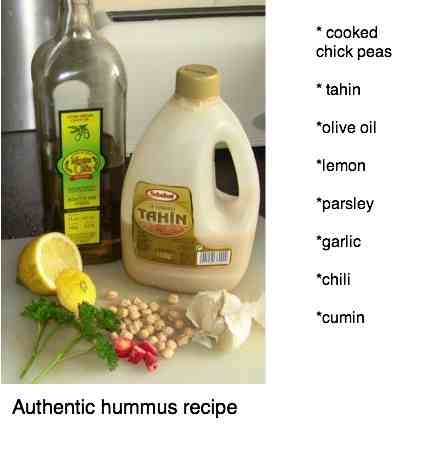 This is our authentic hummus recipe. Having said that, cumin health benefits have been used in Oriental medicine for many conditions especially relating to the sexual organs, reducing inflammation and swelling; it's also reported to reduce the nausea associated with pregnancy. Various texts recommend the mortar and pestle, but do yourself a favour... give it the miss. It'll take you an hour to grind two tablespoons! 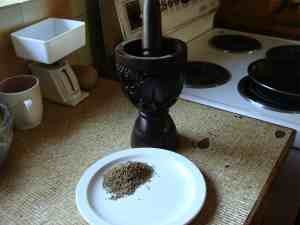 Rather use a herb or coffee grinder; they are inexpensive. 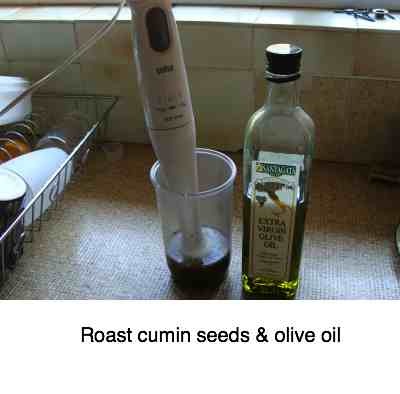 Incidentally most recipes called for roasted cumin, and it's so easy. Toss a couple tablespoons into a pan, turn on moderate heat, and keep turning it so it doesn't burn. 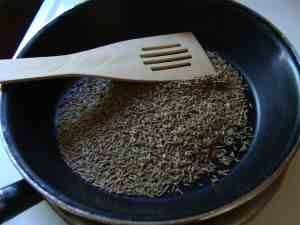 What is cumin but a Middle Eastern spice which I love in our authentic humus recipe and chicken dishes. 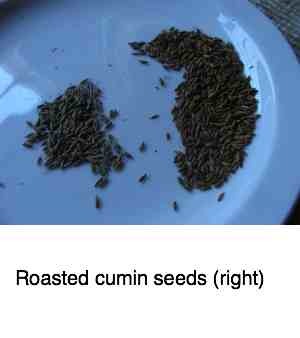 Can you see the cumin seeds on the right are markedly darker? It takes only three or four minutes. When you see a vapour coming off with a delicious aromatic scent, you know it's done. Careful not to burn them; that pan stays hot after turning the heat off. Back for a moment to the beauty of fresh cumin spice. I really shouldn't have been surprised. Freshly ground coffee is much nicer; pepper too; oxygen is the problem. Once the kernel is cracked in any seed, oxygen begins to do it's business. 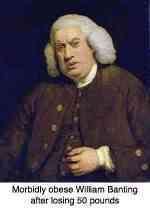 Oxidation and it's not long before many of the cumin health benefits are lost. Just like freshly ground wheat is full of vitamin E. Leave it for a few days and, pouff, it goes rancid; or, is oxidised. And a chemistry graduate should have known that, but somehow it escaped me. Update: I now have that inexpensive coffee grinder (less than $20) and first grind the roasted seeds and then liquidise with olive oil. 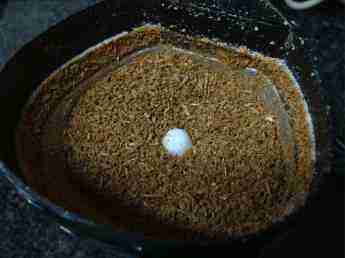 So, you can work the cumin spice either with a stick blender, or a coffee grinder; both work just fine. 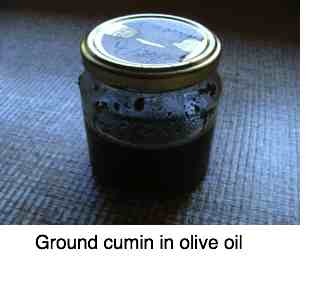 What is cumin ... the way I store it is under olive oil, that keeps the oxygen out, and of course in the fridge. It'll keep for several months this way, at a push, but I'm continuing to notice how freshly ground is much tastier. About one half a teaspoon of this mix in a cup of chickpeas is about right. And then of course, with an already oily stick blender, I go straight on and make another dish that requires what is cumin; like hummus, for example; that's a must if you're into healthy living. You'll find all of those sits very comfortable with the researchers who presented a paper to JAMA; read more at heart stroke diabetes. They found that almost 50% of the deaths were entirely attributable to what we eat, and what was deficient in the diet. Adding nuts and seeds like tahini regularly to our diets would alone reduce deaths from these very serious disease by 8.5%. Once you have soaked and cooked the chickpeas, also known as garbanzo beans, it takes me only 4 minutes to make our famous authentic hummus recipe but then I make a large tub, twice a week. I could make it in my sleep! 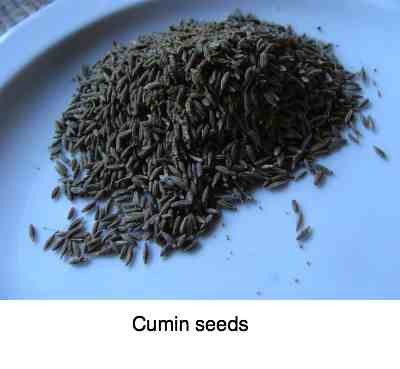 But not without knowing what is cumin. Don't be put off by "tahin". You've probably never heard of it. It's just sesame paste, just as easy to make as your what is cumin mix. Make your own sesame tahini paste if you can't find a Greek or Turkish shop. The sesame seeds are particularly rich in an amino acid called tryptophan that is vital for the formation of serotonin in the brain; it mediates memory and mood, and learning. Brown rice also has large amounts of tryptophan, but white of course has been robbed of all its goodness; it's good for one thing only and that is making you fat. White rice has an extremely high glycemic index. Healthy living folk never buy white rice; you might enjoy it now and again without guilt when you dine out. Take care you don't start to suffer from health nut neurosis. 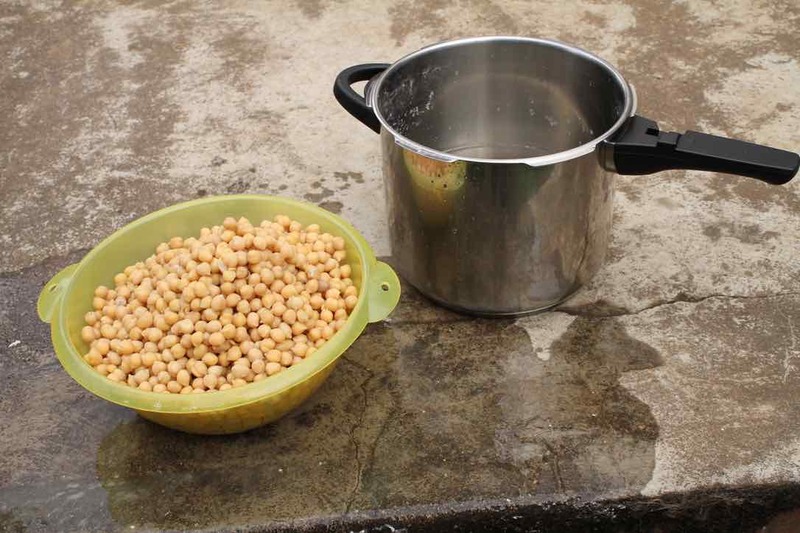 If you are serious about chickpeas, like I am, then pressure cooking a couple pounds and freezing them is the way to go; it's so easy then to use them. They are a healthy starch with a very low glycemic index; most of it reaches the colon, with a minimal effect on blood glucose. This is where most of our cumin is used. I'm afraid you're going to have to wait a bit for Cumin Beef. Next time we roast a joint...; meantime this wonderful traditional ground beef dish amongst the Malay people in South Africa is a gem. 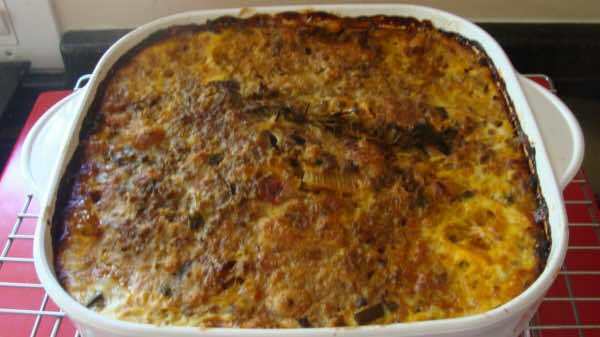 It takes about half an hour to prepare these bobotie recipes, plus another three quarters in a hot oven; cumin is one of the many spices used. They replace some of the red meat with chickpeas. I made note that cumin is a first cousin of my other favourite; from parsley benefits you can get significant amounts of vitamin K, especially important if you bruise easily. Return from what is cumin to banting diet modified.